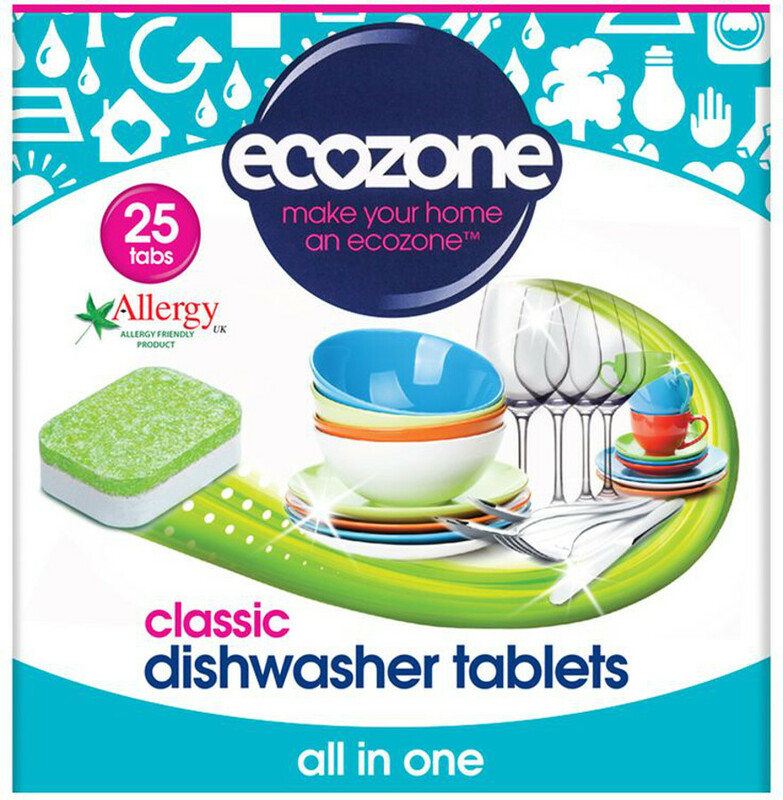 Ecozone Dishwasher Tablets cut through grease and grime leaving dishes and glasses sparkling clean. Not only do the tablets fight spots and watermarks but they are also environmentally friendly and free from animal ingredients. Ideal for use with Ecozone Rinse Aid. Remove wrapper before use. 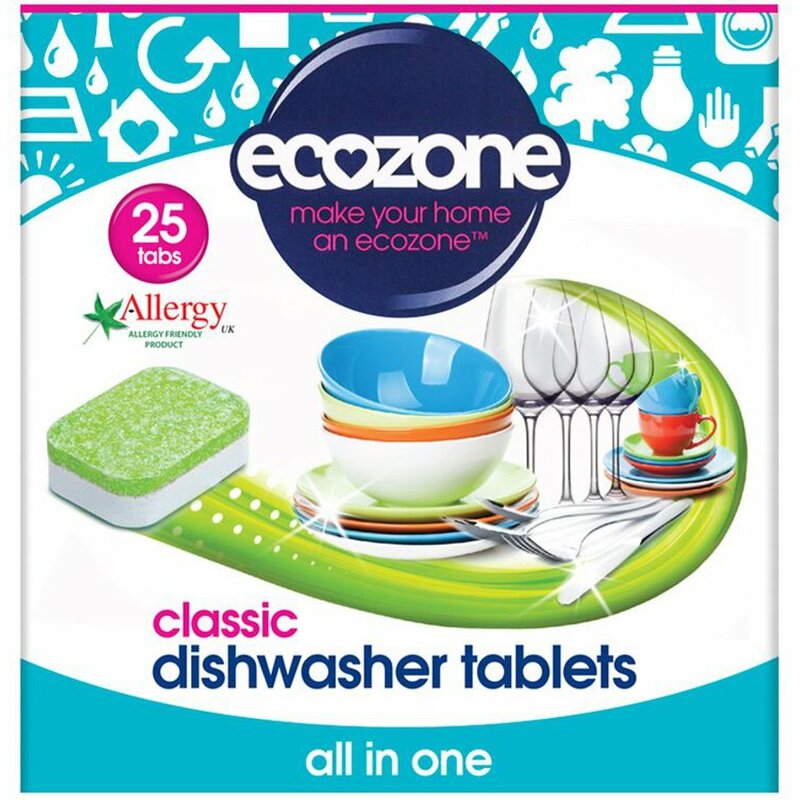 The Ecozone Dishwasher Tablets Classic - Pack of 25 product ethics are indicated below. To learn more about these product ethics and to see related products, follow the links below. Great product, dishes are lovely and clean - even those with some cooked on food! It would be even better if they had the dissolvable wrappers to cut down on plastic waste. Q: Is the wrapper these come in plastic and if so can it be recycled? 0 out of 0 found this question and answer helpful. Ecozone is a British company who believe it is possible for all of us to make small changes that will make a huge difference to now and the future. They have a handy range of ecological, innovative and technologically advanced cleaning products such as washing balls, soap nuts and even lightbulbs. They do not use any animal ingredients, and are vegan and Certified Cruelty Free. Ecozone was created to provide the consumer with a cleaner, healthier, toxin-free lifestyle and they continue to succeed in offering customers cleaner, sustainable ways of living. Their mission is to 'make your home an Ecozone' to reduce the amount of toxic chemicals in your home. They believe that homes should be safe and clean environments for all families, and fight to keep germs at bay, without compromise and without toxicity.